Gadgets may be top of Christmas present lists but a survey shows that few people know how to properly dispose of old electronic devices. It found that almost half of those asked throw old gadgets out with rubbish instead of recycling them. And 84% of those taking part had never heard of new laws that will make it illegal to dump gadgets. The report comes as the introduction of a European directive on electronics recycling is delayed again. 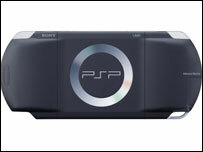 This year gadgets such as Sony's PSP handheld game player, the Xbox 360 console and Apple's iPod music player are likely to be popular Christmas presents. Carried out for a UK electronics industry recycling body, the survey shows that fewer than 10% of British households actively recycles old, broken or unwanted gadgets. The research showed that Britons are more responsible when it comes to larger home electronics items such as fridges, washing machines and driers. The majority of people recycle these products found the survey with 40% taking them to a local rubbish dump and a further 33% paying their local council to collect and dispose of them. The majority of those questioned were unaware of the European Waste Electrical and Electronic Equipment (Weee) Directive which will make it mandatory for consumers to responsibly dispose of their old gadgets. Dr Phil Morton, chief executive of the Recycling Electrical Producers' Industry Consortium which commissioned the survey, said a lot of work needed to be done to educate consumers about gadget recycling. Although most of those asked did not know about the Weee Directive, many of those taking part in the survey had strong views about how electronic items should be disposed of when it does come into force. A majority of those questioned, 60%, said they wanted to be able to take old gadgets to local dumps for authorities to dispose of and a further 38% said they wanted to be able to leave them out to be picked up like bottles and newspapers. The enacting of the Weee Directive in the UK has been delayed as final negotiations are conducted over how it will work are sorted out.